A visit to Franskraal is akin to travelling back in time. It is unpretentious and the way of life that residents have come accustomed to is uncomplicated and slow-moving. Tourists exploring the village are likely to spend their days outside. 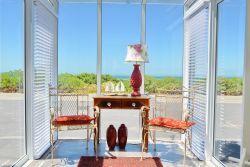 There are plenty of views to marvel over and a beach to either bask in the sunshine, or an ocean to paddle one’s feet in. 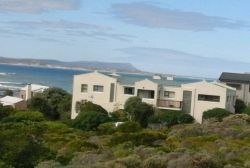 The seaside village is located on the outskirts of Gansbaai with the neighbouring town of Klein Baai found to the east. Upon your entry into the town, you’ll see rows of white-washed cottages which speak of a bygone era. Adjacent to these cottages is a milkwood-dominated forest where nature-lovers can amble through on a lazy afternoon. The marked ‘Melkhartbos Trail’ is easy to follow, and takes you into the heart of the forest. The distance of the route is approximately two kilometres and will take you an hour to finish if you’re walking at a slow, meandering pace. Enjoy the sounds of silence and be on the lookout for a diverse array of plant and bird species. If you’re looking to learn about the history or cultural happenings of the village, the Standveld Museum is positioned near the Franskraal cliffs. Not only will you learn interesting tidbits, but you’ll view the remnants of a shipwreck – the HMT Birkenhead which ran aground at Danger Point in 1852. The museum is run by local historians who know everything there is to know about the village, and will gladly divulge their in-depth knowledge to all those who are interested. Horseback riding is popular in close by Gansbaai, where many trails are available at all difficulty levels – so if it’s your first time on the back of these majestic beasts – feel assured knowing you’re in safe hands. Horse riders have the option of walking, trotting or galloping through the forest or on the beach. The Klipgat Caves found nearby are worthy of a quick visit too. These caves are steeped in history, having been inhabited by our ancestors over 80 000 years ago. If you like to live on the edge, go down under with Shark Cage Diving Unlimited. The diving is managed by Mike Ruthern and is the shark diving spot of choice for major celebrities, including Brad Pitt and Prince Harry. Culture enrichment, adventurous outdoors activities and picturesque views are not the only attractions of Franskraal, but holiday accommodation grants you a ‘home-away-from-home’ feel during your stay at the various establishments in the area. A quick look at our website will give you the information you need to make your choice. 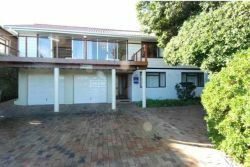 You will find reviews and you will also be able to compare prices and find wonderfully affordable accommodation in Franskraal. 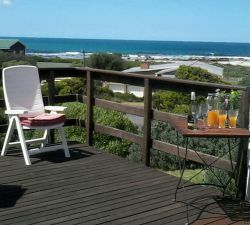 Are you planning the perfect getaway but have not yet found your ideal Franskraal accommodation? By using our easy website, you can find great accommodation of all types, whether it is a cosy bed and breakfast or a comfortable lodge. We have thousands of easy to find listings for self-catering facilities, holiday homes, guest houses and hotels as well as backpackers, chalets, caravan facilities, villas and apartments, giving you a wide variety of options when it comes to your accommodation in Franskraal. To help you find the right place to stay, we have a number of tools that you can use, including a map. This will help you to pin point exactly where you will be staying and it will show you the accommodation facilities that are closest to where you will be. Regardless of the reason for your visit to Franskraal, we can guarantee that you will find the type of accommodation you are looking for. But reviews for Franskraal accommodation is not the only information you will find. Want to know if your Franskraal accommodation is pet-friendly or allows smoking? All of that information is included on the listings page. You will also be able to find which activities are on offer and the sort of amenities included with each room. All of this information will help you to make an informed decision before you make any payments to, giving you more peace of mind about your choice. 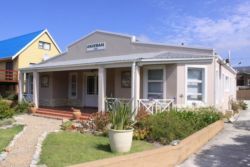 We include all of the contact details of the self-catering accommodation, holiday homes, guest houses and hotels as well as backpackers, chalets, caravan facilities, villas and apartments in Franskraal which are featured on this website, so you also have the option of getting directly in touch with the place. Regardless of where you are staying, we feature Franskraal accommodation in that area of the province. You have options of Franskraal guest houses, lodges and bed and breakfasts, among others, ranging from your more affordable, lower prices to your more luxurious options. So, you are not visiting for a holiday but rather for business and all you need is a place to stay for a night or two? The bed and breakfast options, as well as the lodges, are generally preferred by business people and you will find all types, from your more luxurious lodges to your simple, self-catering bed and breakfast. Each will give you a safe roof over your head while you are in the province. 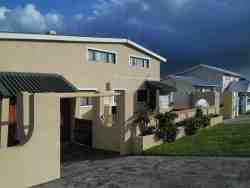 Franskraal accommodation is not only affordable but well situated. If you are doing business in this area, this is a great accommodation choice. Spending more than a few days in the province? Perhaps you are indulging in a tour of the region and you are looking for a few places to stay? Browsing through our listed self-catering accommodation, holiday homes, guest houses and hotels as well as backpackers, chalets, caravan facilities, villas and apartments in Franskraal will give you all of the information you need to make your selection. And once you have found the ideal place to stay, you can either request a quote or make your booking directly on this website. Sleeping-OUT.co.za is designed to make finding and booking accommodation in Franskraal easier than your traditional methods of sourcing a place to stay! 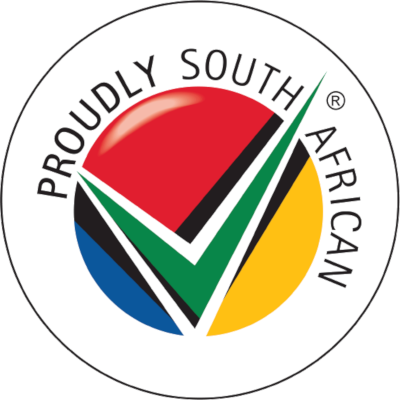 We include some great accommodation special deals in and around Franskraal. 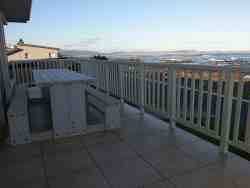 26 reviews of Franskraal Accommodation. This little town is amazing. The people are always friendly and ready to help. So peaceful and safety is not an issue at all. Beautiful place. Small town vibe. Not commercialised at all which is awesome. Definitely the place for fishermen. Franskraal is so peaceful and tranquil. A beautiful town with friendly people that made me feel welcome. For peace of mind and soul, it's the place to be Franskraal.